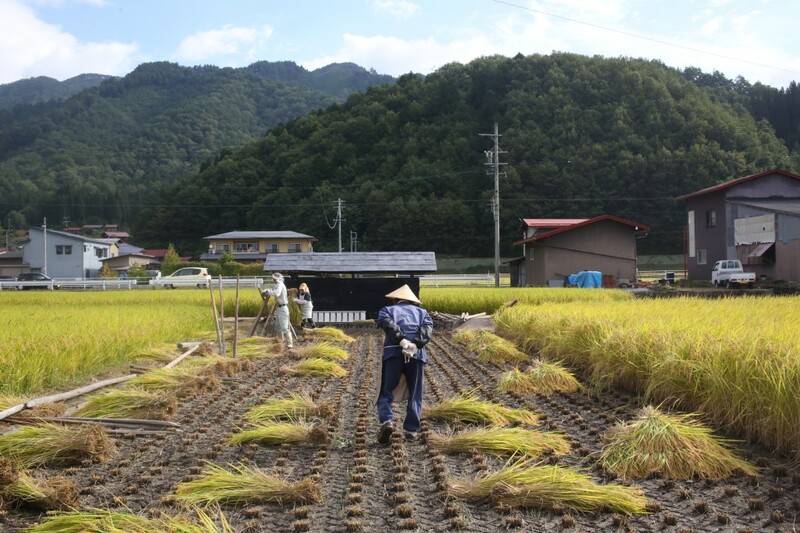 In the Hida area, people use rice straw (in Japanese ‘wara’) for the making of some tools for our life, aside from its use as manure for the fields or as home-grown feed for the livestock. Rice straw may perhaps have as long a history as rice. It is strong. Also it is easily available and easier to process than trees. Before the high growth period, people used rice straw from birth until death. 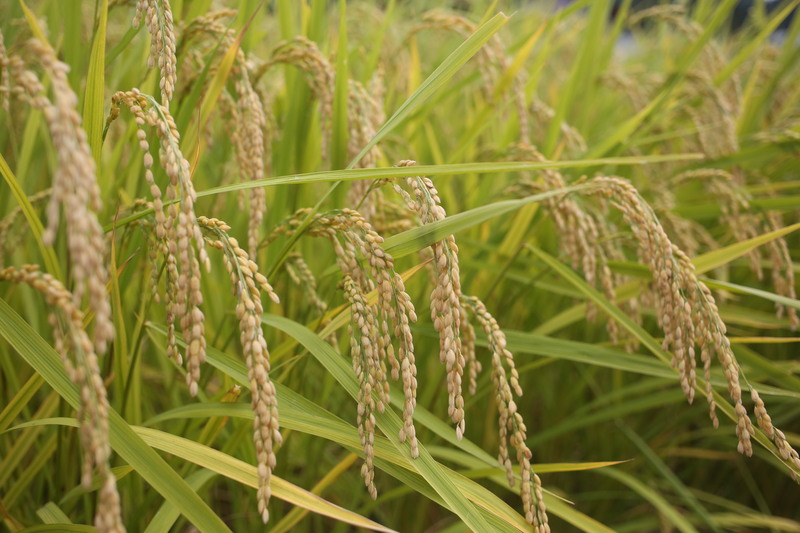 ‘Sukube’ is the leaf of the rice plant and was not used for straw work. But people used ‘sukube’ for bedding as a substitute for cotton. It was easy to dry even if the baby wetted it. After the ‘sukube’ became dirty, it was good as manure for the fields. Also straw was used for wrapping the dead. Children would run around there with their straw sandals. After school, they would help make braided straw in their homes. Braided straw was a good tool for our life; it was used for tying loads, and also for the cord to bind the framework of the old type of housing known as ’gassho-tsukuri’. After World War II, products made from plastic spread at the expense of straw products. Nowadays, straw work has completely disappeared from our lives. 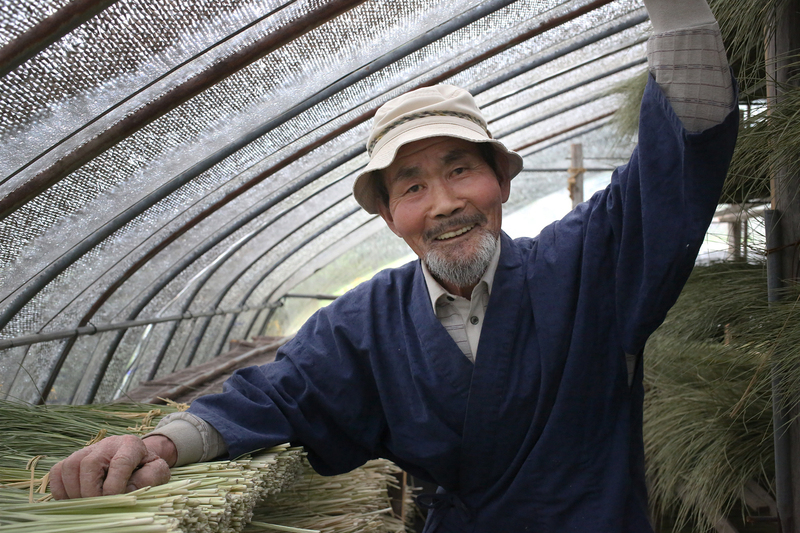 Mr. Tomio Numata, who is a specialist in the making of straw work, is a vital person in the town of Furukawa. He began making straw sandals for himself and his family when he was eight years old. After he would come back from junior high school, he would pound the straw, cut it all the same length, and remove the ‘sukube’, and then he could begin to make sandals. At that time, almost all children would do the same. 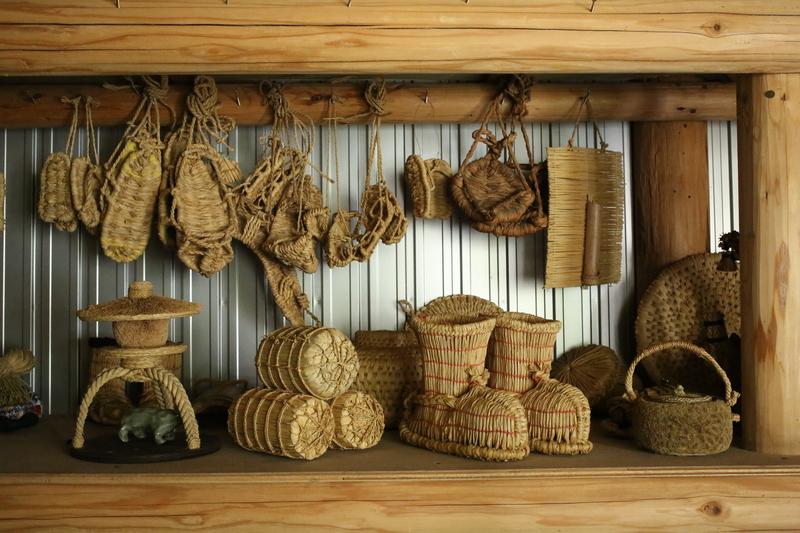 When he was 20 years old, he started making some decorations and other products from straw on his own. 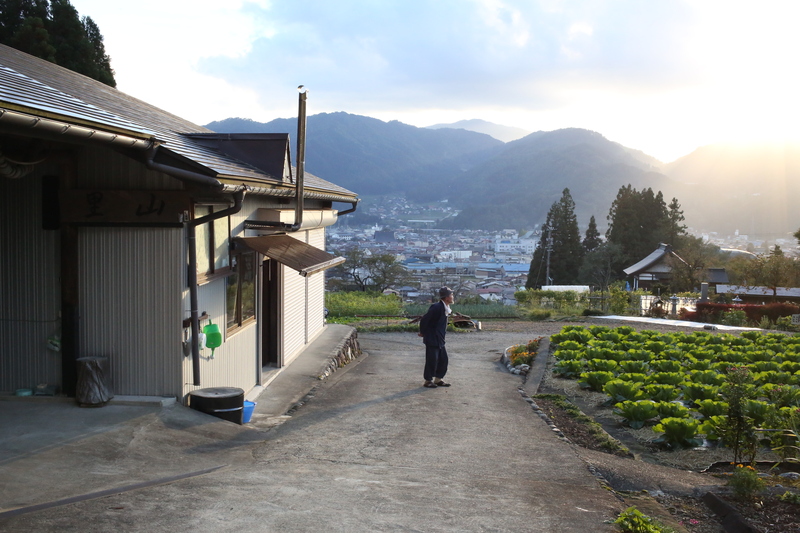 His workshop named ‘Satoyama’ stands on a hill from where we can see the town of Furukawa. 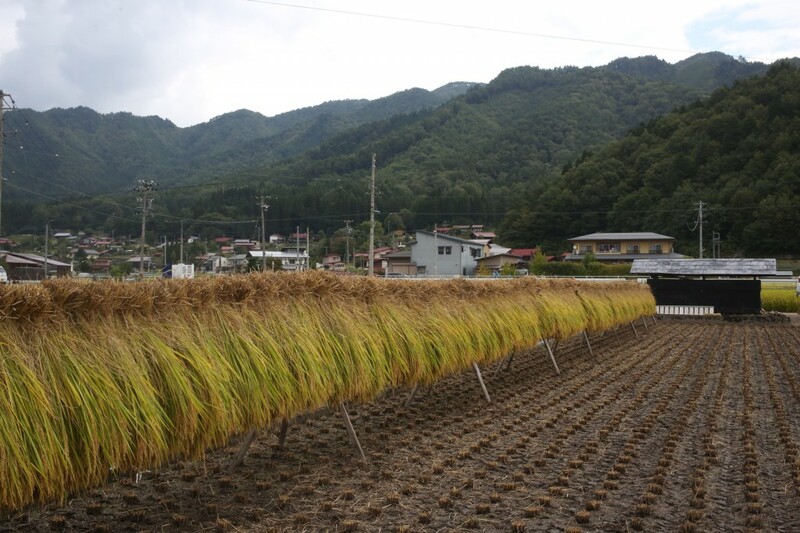 Sometimes children visit there, and sometimes other straw work makers like Mr. Numata visit there from other prefectures. The Furukawa festival of ‘Okoshi daiko’ takes place on April 19th and 20th. 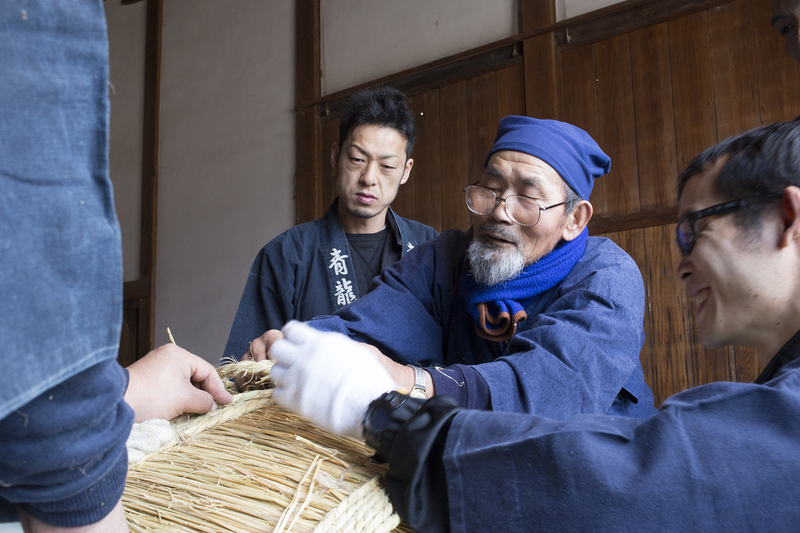 It requires some ‘komo’, which are the woven straw mats for ‘Okoshi daiko’. Before the festival each year, someone has to make the ‘komo’. Until several years ago, quite a few people could make it, but nowadays there are only three men who know how to make it, including Mr. Numata. Mr. Numata passes down the ability to make the ‘komo’ and foster human relations. People bond strongly through this festival from elder to youths. In Japan, we use sacred straw rope in sacred places such as shrines. Also we decorate each house with a sacred straw rope every New Year. Before the festival or New Year’s Day, people gather and make it together. Each family uses the straw which that family has harvested. The sacred straw rope goes bad after a year. In the case of temples, people replace the sacred straw rope twice a year: before New Year’s Day and the festival day. In an earlier article we explained about Tanabata iwa, which are the two rocks in the area connected and decorated with this sacred rope. In our times the growing of rice has been taken over by mass production, so people have gotten used to using machines. Therefore the rice-field scenery has changed slightly. Mr. Numata still thinks of the growing of rice along with the straw. He doesn’t use machines, but instead takes meticulous and frequent care of the whole rice-growing cycle by hand with his family. The meaning of the Chinese character for rice is that we have to take care of the plants 88 times. This scenery is a traditional scenery. It is one of the scenes which we want to leave as rural scenery of the Japanese village (SATOYAMA) for the coming generations. Straw utensils are different from those made of stone or those made from metal, because tools made from straw, after we have used them, easily return to nature. Objects made out of straw commune with nature. Mr. Numata passes down the wisdom of keeping people and nature alive in our world from generation to generation.